Why This High School Band Is Buying Music From Composers Of Color This Year : NPR Ed Often, high school band music is composed by white men. So this school is seeking out music from women and composers of color who are writing music, but aren't being published at the same rate. Spring Lake Park High School junior Kia Muleta has been playing the clarinet since fifth grade. Kia wants more diversity in her band music. 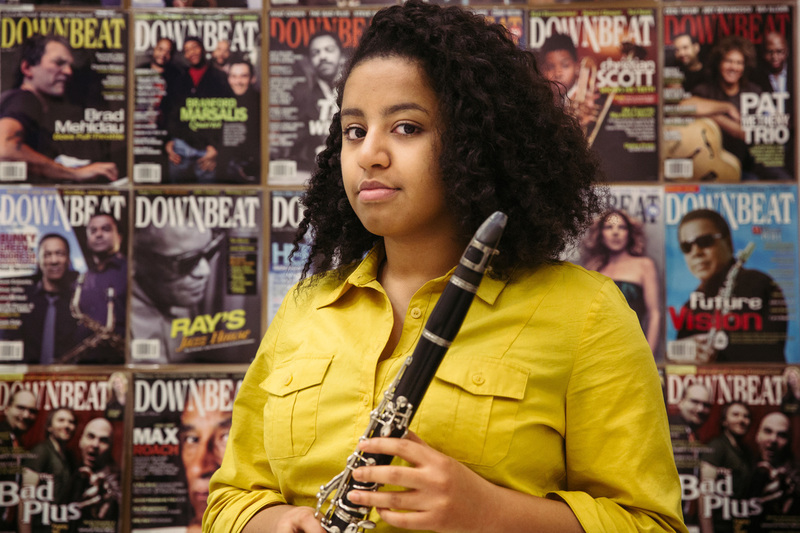 She is often the only black student in band, where most of the music was composed by white men. There's a bulletin board at the front of the band room at Spring Lake Park High covered in portraits of the composers who wrote this year's music selection. The bulletin board isn't new — it's there every year. What's new are the faces: Instead of primarily white men, there are faces of women and composers of color. This is intentional. The band directors at Spring Lake Park, outside of St. Paul, Minn., have pledged to include at least one piece by a female composer and one by a composer of color in each concert, for each of the school's bands. "We made a commitment this year to only buy music from composers of color," says Brian Lukkasson, one of the directors. Spring Lake Park High School band teachers have made a point of incorporating both modern and classical composers of color into their lesson plans. He says it's been hard, but not because those composers aren't writing for bands. "It's really hard to find music because there's just not a lot of composers of color that are being published," Lukkasson explains. 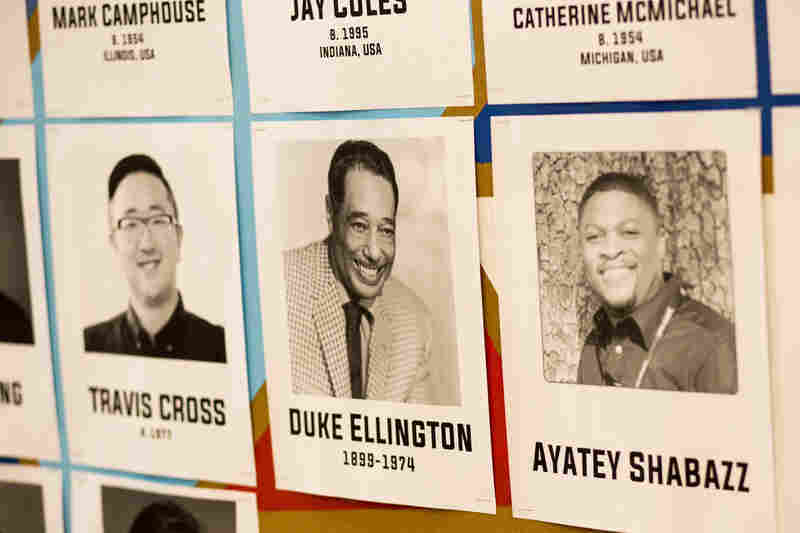 Composers of color and women are shut out of the canon and often stereotyped, so Lukkasson usually has to network with his colleagues to find their music. Viet Cuong, for instance, is a young Vietnamese-American who wrote the piece "Diamond Tide," inspired by the scientific process of melting a diamond. "I really, really want other students of color to be able to feel like they are welcomed and appreciated anywhere, that they don't have to check themselves at the door," says junior Kia Muleta, one of Lukkasson's students. Muleta, who is black, has been playing the clarinet in since fifth grade, and says the students sitting around her are usually white. She says it bothers her that the composers they used to play were usually white too. "There's a kind of an ideological segregation of who can and cannot be in band, based on who the composers are, and what the music is like," she says. This year she'll be playing "Of Honor and Valor Eternal," a tribute to the Tuskegee Airmen. It's by Ayatey Shabazz, a black composer from Mississippi. Shabazz says that his grandfather knew one of the African-American airmen, and that stories he heard as a child inspired the composition. Band teacher Brian Lukkasson leads a discussion with his class about the perspectives of the composers they play, focusing on composers of color in the civil rights era. 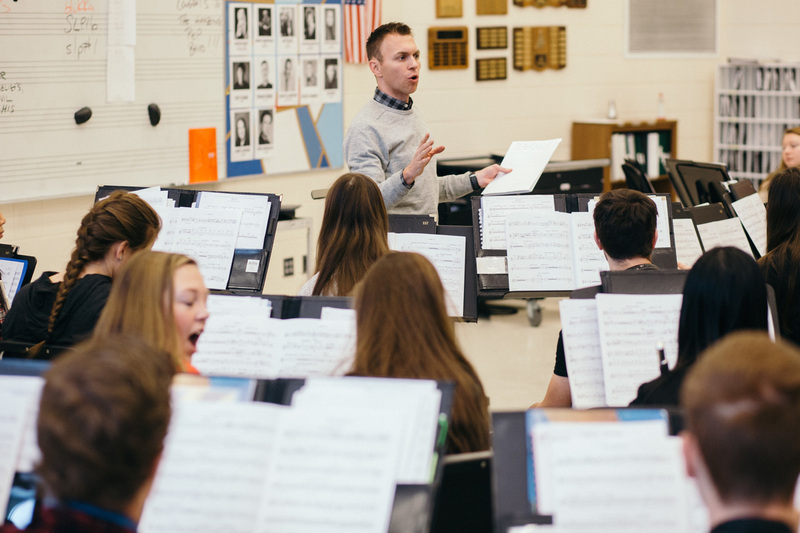 "The more you practice talking about race, culture and ethnicity, the more comfortable you are," says Nora Tycast, one of the other band directors at Spring Lake Park. She and her students wrote to Shabazz to ask about the composing process. Kia Muleta says the mix of composers on the bulletin board may seem like a small thing, but it's not to her. She says new faces up front are a signal that difference is welcome here.